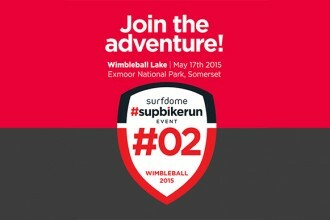 First up in the #supbikerun 2015 event calendar and possibly the toughest of our three events is Wimbleball, Exmoor National Park. This unique triathlon event will use a 3K SUP course (stand up paddle boarding), 26K MTB course (mountain biking) and 5K trail course (off-road running). Set within the rolling hills of the West country the stunning Exmoor National Park provides the back drop for an amazing #supbikerun adventure with its steep valleys, technical trails and beautiful countryside. Our events run with a phased registration process. This keeps things cool on the day and ensures no hold ups or congestion on the courses. When you purchase your #supbikerun ticket you will buy in to a specific registration time. Simply arrive at registration at this time, once signed in you will take your bike and personal belongings to the bike transition zone before heading to the start beach area. 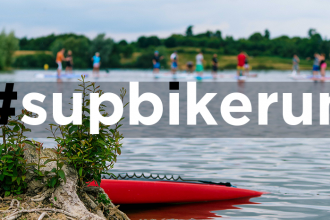 Your #supbikerun adventure will commence on the eastern bank of Wimbleball lake where you will take on a 3K SUP course (stand up paddle boarding) clearly marked with giant race buoys so no room for error. Either bring your own SUP board or if you’re new to the sport then simply hire one (we have limited tickets available with Fanatic SUP board hire). Following the SUP, you will exit the lake and make your way to the bike transition zone. 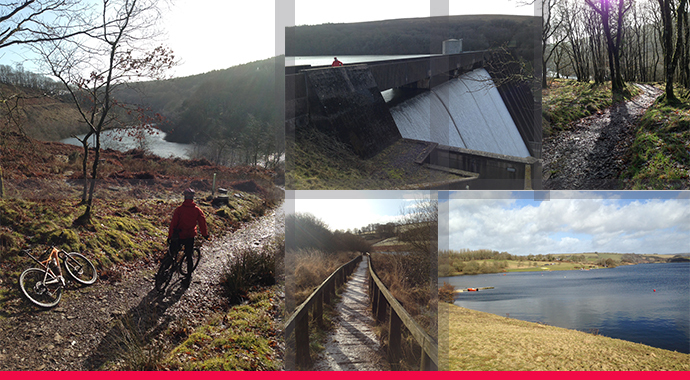 Once on your bike you will then take on a challenging and feature rich 26KM off-road ride that circum navigates the lake before climbing to a maximum height of 327m on Haddon Hill. From Haddon Hill you take on an exciting descent down the Haddon Lane track to Bury. From Bury you’ll cross the River Hadeo taking Lady Harriets Drive, a 4KM bridleway that winds its way along the banks of the Hadeo with a gradual incline and stunning scenery. The entire course is a mixture of tracks, trails, singletrack and bridleways and is feature rich with many obstacles to navigate and cross… you certainly won’t be disappointed with this MTB course. A circular course, you will end back at the bike transition zone where you will leave your bike before heading out for the 5KM trail run to conclude your #supbikerun event. Within the next few weeks, official course maps will be released to all participants in association with our mapping partner Ordnance Survey. 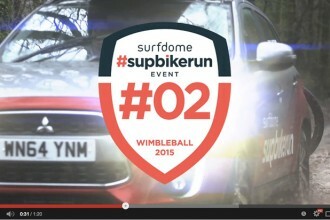 A #supbikerun event is open to everyone. Timed but not a race, you have the option to either push yourself and set yourself the challenge of completing the triathlon as quickly and safely as possible. 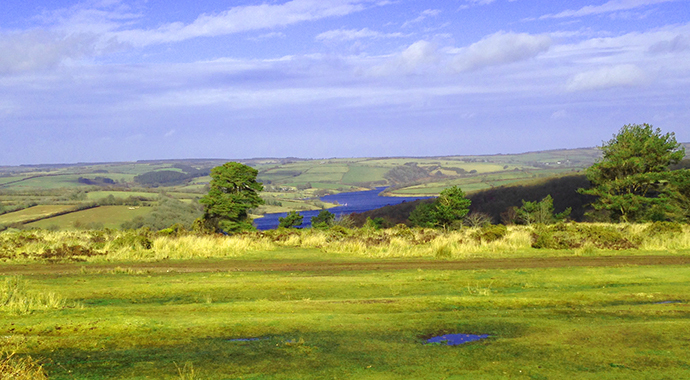 Alternatively, you may wish to simply get round in a comfortable time taking in the adventure and the stunning scenery Exmoor Park has to offer. Our first event in 2014 had participants from right across the UK, our youngest participant was just 14 completing the event with his father and the oldest participant was in his early 60’s (who’s course times put many of the younger participants to shame). Safety is something we take very seriously, we want to push the limits and provide you with an awesome challenge but equally we want you to be safe at all times. With this in mind we deliver a highly skilled support team at each event to ensure your event runs smoothly and should anyone require assistance then we can be on hand to help you. The Wimbleball safety team is made up of remote safety marshals using three Mitsubishi ASX they will move around the course ensuring all participants are kept on track. The lake is covered with two safety boats and crew including one wheelie boat that can come in on to the bank of the lake should anyone require evacuating from any area of the lake. We also have three medics on site, two located by the lake and bike transition zone and one remote medic on a quad bike. SET YOURSELF AN AMAZING CHALLENGE AND TAKE PART IN THE UK’S MOST EXCITING TRIATHLON… TICKETS LIMITED TO JUST 200 PARTICIPANTS!